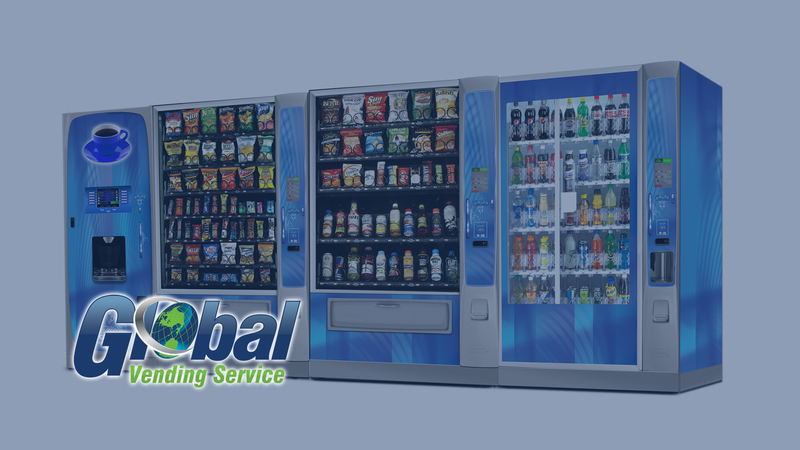 Global Vending Service promises to provide unrivaled attention to your vending, break room and refreshment needs! to Orlando, Tampa and more! Global Vending Service can be your go-to vending services provider for all locations! Need a State-Wide contract? We can service ALL of Florida! 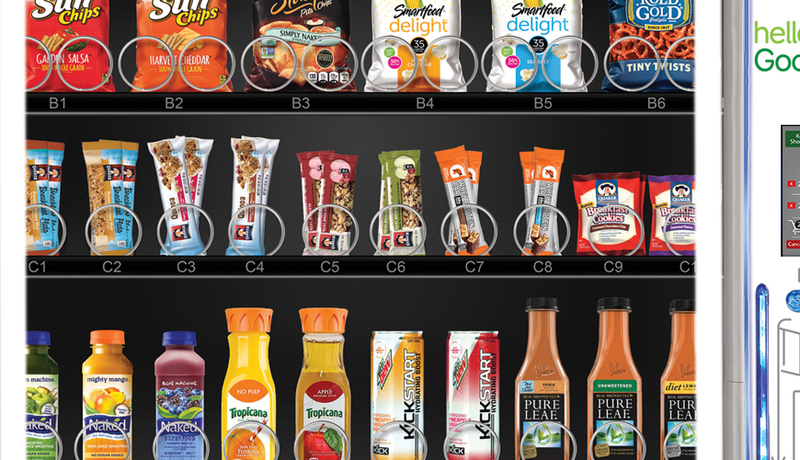 With a wide variety of fresh and healthy snack options, combined with the latest in vending technology, Global Vending is the clear choice. Exceptional Snack & Beverage Vending for regional and multi-regional businesses in Central and Southern Florida! Global Vending Service, located in Lake Worth, service offices throughout Central and South Florida and can service the entire region including Tampa, Orlando, St. Petersburg, Clearwater, Cocoa, Melbourne, Jacksonville and more. Unattended breakroom solution loaded with a huge and customizable variety of fresh, health options for your employees. Our Break Room Solutions Are a Balance Between Better Health That Tastes Good. Offering healthier snacks, beverages, and food to employees is becoming increasingly important to Florida businesses. Healthy employees are more focused, take fewer sick days, and have increased productivity. 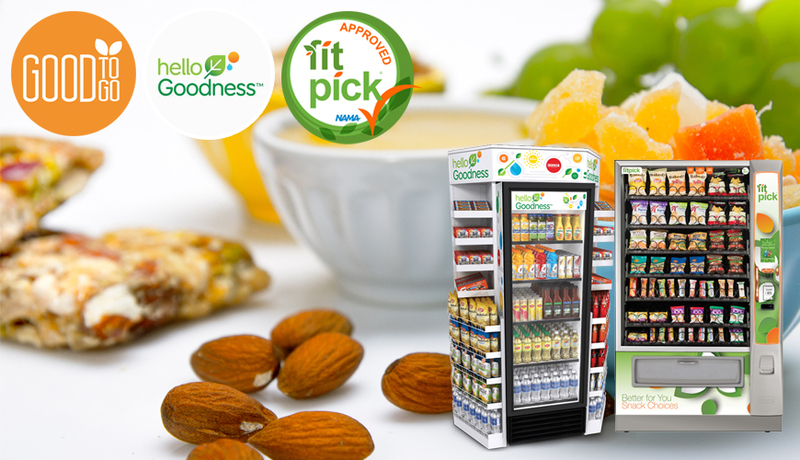 Companies that support this lifestyle choice with healthy vending machine snacks and beverages or healthy fresh food vending machines can reap rewards of a happier, healthier workforce. 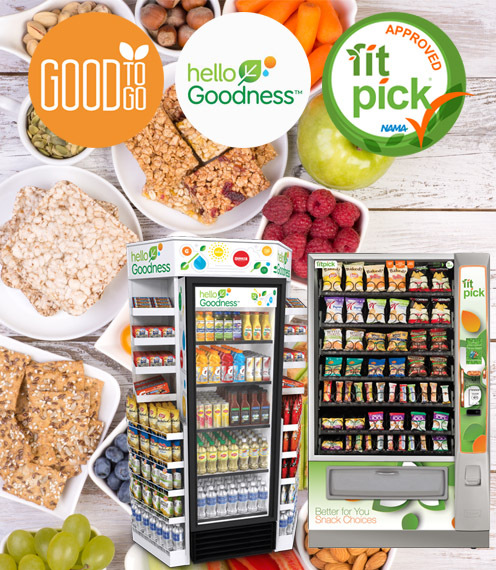 Global Vending is proud to partner with three healthy food initiatives in the breakroom refreshment industry: PepsiCo's Hello Goodness™, NAMA's FitPick® and Vistar's Good To Go® program. 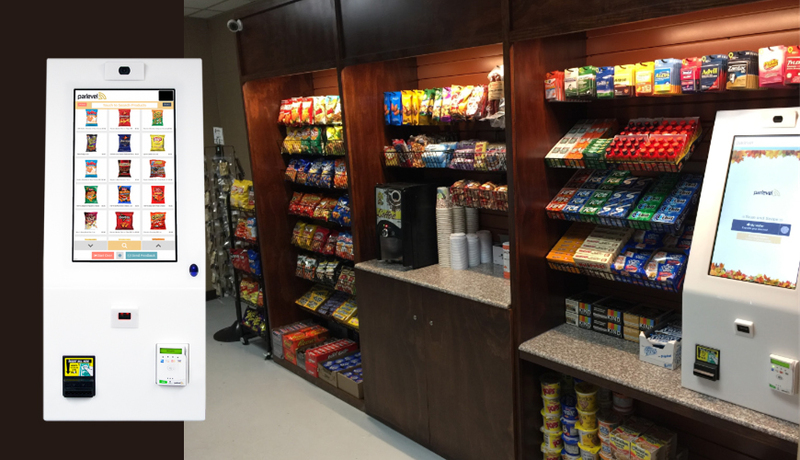 Each organization provides us with a means of providing healthy vending and self-checkout breakroom solutions to meet the needs of various organizations: schools, hospitals, corporations and more. 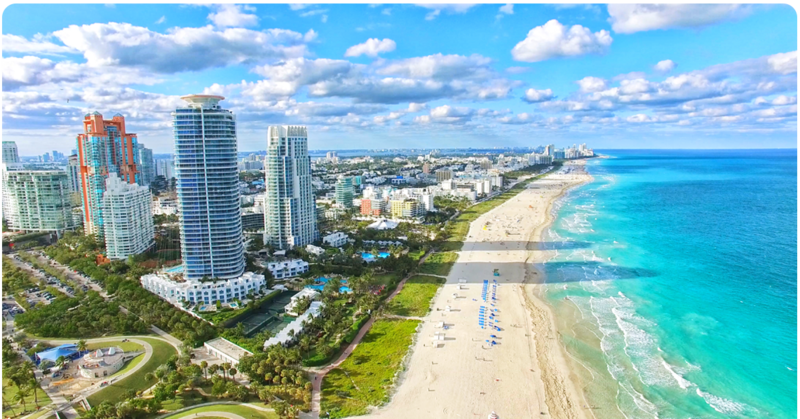 No one does vending, micro-markets and office coffee service better in Central and Southern Florida. 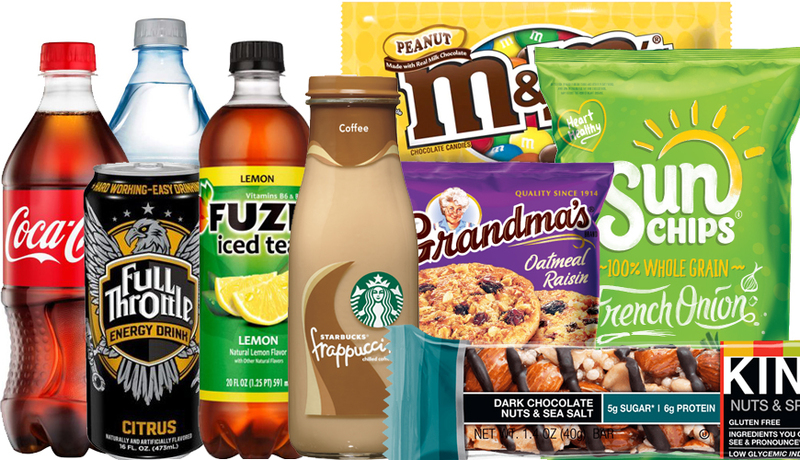 Our extensive line of beverages and snacks includes national name brands and local Florida favorites. Our product selection is growing everyday with the newest hot products. Let us know your favorites and we'll customize a professional solution just for your break room. Don't settle for less than the most advanced vending machines; we provide our customers with a premier vending experience. From video screens on the door with sales promotions to acceptance of multiple forms of cashless payment, we bring excitement back to the vending machine. We react immediately to any vending problem, with an average response time of no more than an hour. Global Vending maintains a fleet of emergency service vehicles to enable fast and effective service. 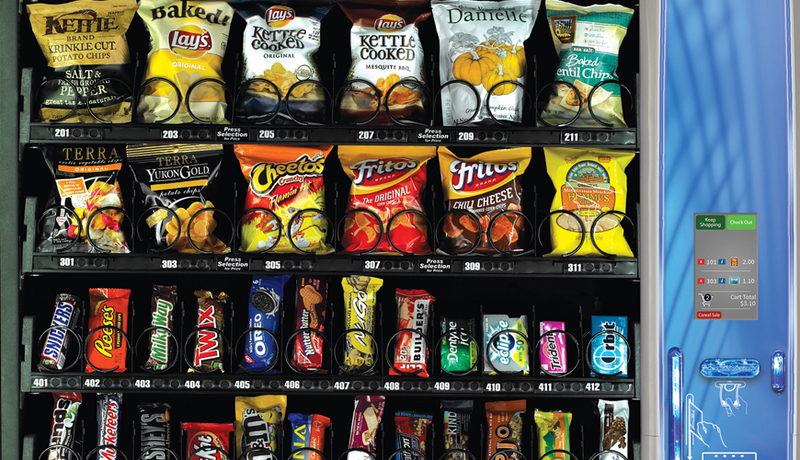 Highly trained, our service staff identify and resolve vending machine problems fast, 24 hours a day. We employ a team of UNIFORMED technicians that are dispatched 24 hours a day, 7 days a week. Our machines are serviced, and maintained in a clean and sanitary condition at all times. Fast, friendly response to your service issues no matter the day of the week or time of day. Our Machines Are Never Empty! We use an inventory management system that allows us to know what your location will need, before we leave our warehouse. Machine sales are monitored weekly to determine how often machines need to be stocked; ensuring available inventory and an appealing product mix on a timely basis. Technology is integrated into everything we do. 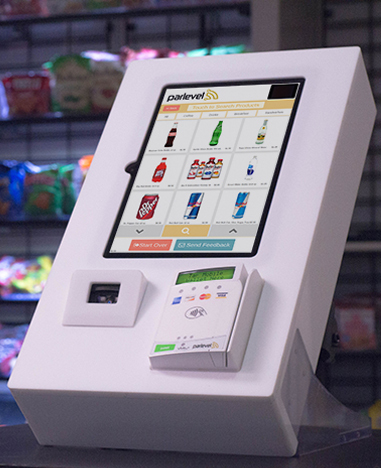 From touchscreens with highly responsive, familiar interfaces (with quick and easy access to products and nutritional information), to the ultimate payment convenience by using cashless payments - we will optimize your vending experience. 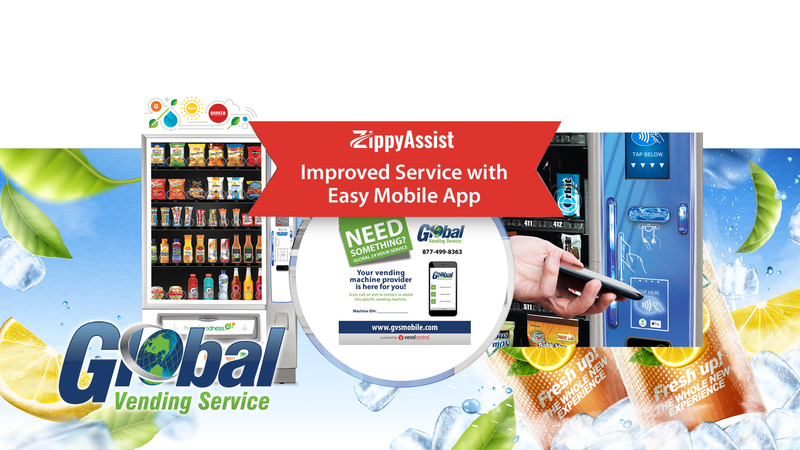 Global Vending Service makes break room refreshment easy. 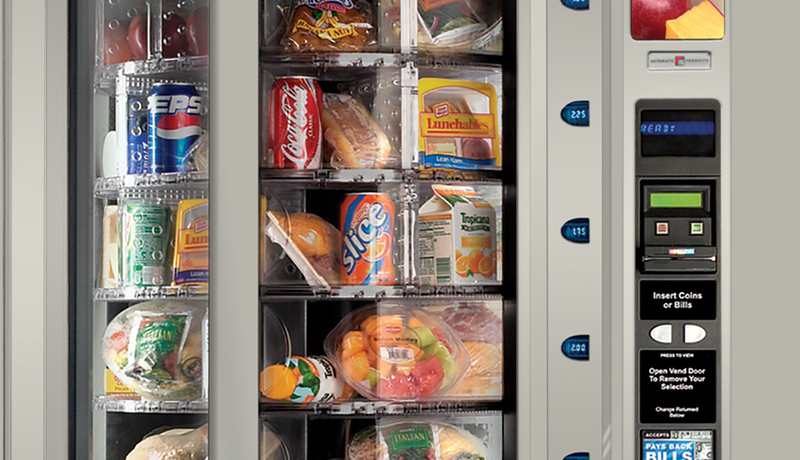 We are a one-stop-shop service provider for all your Florida business needs from vending machines to breakroom supplies. You only need ONE place to call for customized, superior service! We aim for the perfect balance between indulgent, traditional, and healthy items for your employees. We offer today's top selling brands in snacks, treats, and sweets. We've got all the options from classic soda, juice, sports drinks, energy drinks, tea and ready-to-drink coffees, to healthier vitamin drinks, flavored water and bottled water alternatives. Offer fresh, locally made food in your break room. Enjoy gourmet quality items including salads, wraps, fruit, soups, sandwiches, burritos, burgers, muffins, and many healthy items. 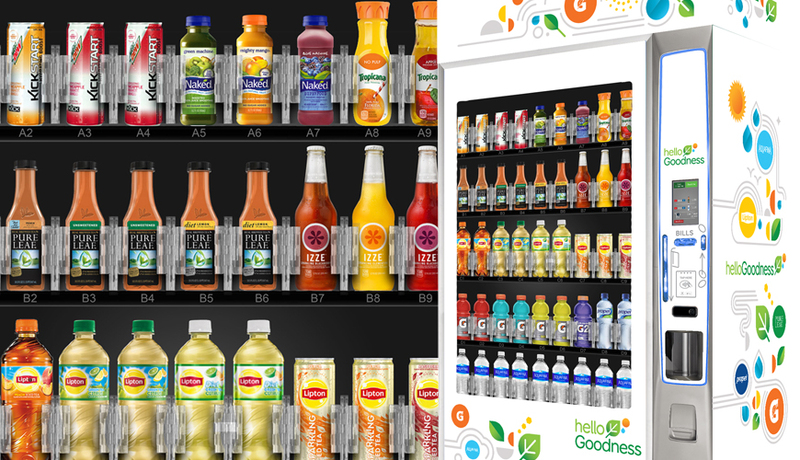 Our combo vending machines are able to vend a wide variety of products such as snacks, beverages, fresh foods and healthy choices - all from a single vending machine. Think outside the box with open shelves and glass coolers that offer employees more beverage, snack and food options in modern breakrooms. 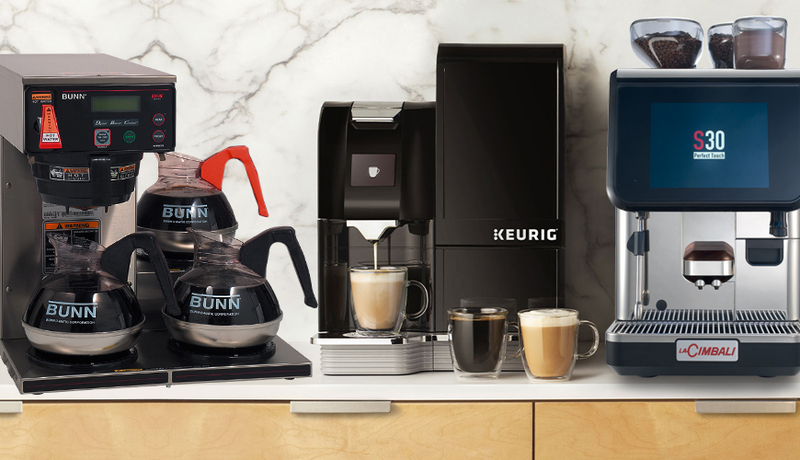 The new line of hot beverage machines don't just brew coffee, they grind the beans fresh and produce cafe quality hot drinks without the mess or hassle of traditional office coffee service. GVS offers convenience with a huge selection of traditional favorites, new trends and local Florida favorites - all sourced from quality brands. Our healthy vending and fresh food programs provide fresh and nutritious snacking and meal alternatives for our clients. Global provides an office coffee service solution that offers variety and convenience with cafe quality coffee in your break room. Single Cup, Traditional and Espresso! 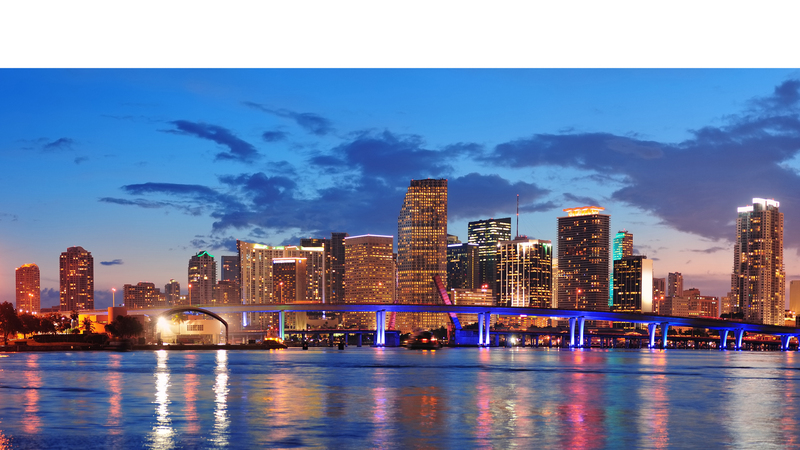 If you have locations in Miami, Fort Lauderdale, Orlando, Tampa or elsewhere, we can be your go-to vending services provider for all locations. 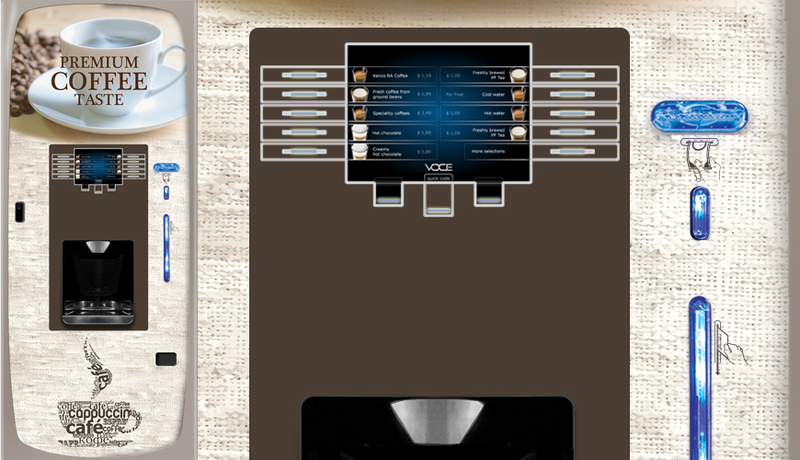 The way you experience refreshment will be transformed by GVS. Call us today at 877.499.8363 (VEND) for your FREE trial.